We’ll also consider a cactus’ role in World War II and puzzle over a cigar-smoking butler. The U.S. Senate maintains a tradition of hiding candy in a desk on the chamber floor. E.H. Jones, The Road to En-dor, 1919. Tony Craven Walker’s En-dor Unveiled (2014) (PDF) is a valuable source of background information, with descriptions of Harry Jones’ early life; the siege of Kut-el-Amara, where he was captured; his punishing trek across Syria; the prison camp; and his life after the war. It includes many letters and postcards, including some hinting at his efforts toward an escape. S.P. MacKenzie, “The Ethics of Escape: British Officer POWs in the First World War,” War in History 15:1 (January 2008), 1-16. 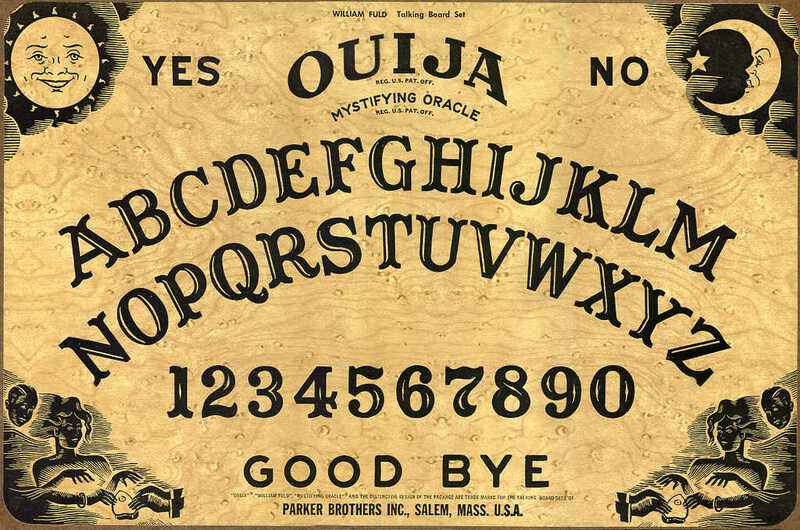 “A Note for Spiritualists,” The Field, March 27, 1920, 457. “Jones, Elias Henry,” Dictionary of Welsh Biography (accessed 07/30/2016). “En-dor,” in Rudyard Kipling’s Verse, 1919. Associated Press, “Japanese Submarine Attack in California Unnerved U.S.,” Feb. 23, 1992. William Scheck, “Japanese Submarine Commander Kozo Nishino Gained Personal Satisfaction From Shelling the California Coast,” World War II 13:2 (July 1998), 16. Wikipedia, “Bombardment of Ellwood” (accessed Aug. 12, 2016). California Military Museum, “The Shelling of Ellwood” (accessed Aug. 12, 2016). This week’s lateral thinking puzzle was adapted from Paul Sloane and Des MacHale’s 1998 book Ingenious Lateral Thinking Puzzles. 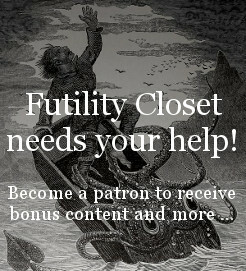 Please consider becoming a patron of Futility Closet — on our Patreon page you can pledge any amount per episode, and all contributions are greatly appreciated. You can change or cancel your pledge at any time, and we’ve set up some rewards to help thank you for your support. You can also make a one-time donation on the Support Us page of the Futility Closet website.